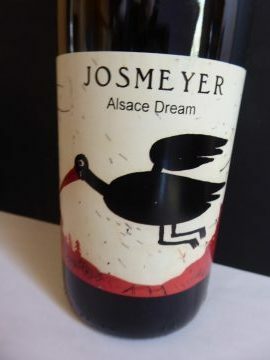 Alsace Dream is an organic white blend wine produced in Alsace by the Domaine Josmeyer winery in Wintzenheim. 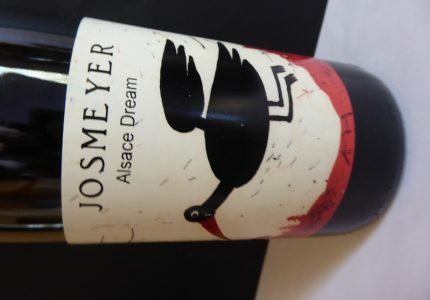 Alsace Dream is a blend of different Pinot (Gris, Blanc and Auxerrois) and Riesling exclusively from organic and bio-dynamic vineyards. The labels on my bottle do not display any vintage. 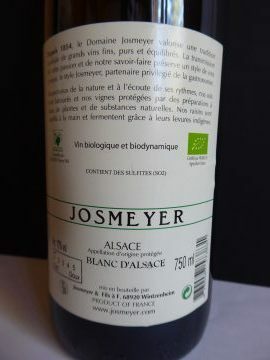 The color of this Alsace Dream produced by Domaine Josmeyer is pale yellow. It produces perfumes of vanilla and toasted wood. The palate offers freshness and crispiness with a good structure. I found aromas of yellow fruits, citrus and sweet almond. It is a medium lasting finish wine.